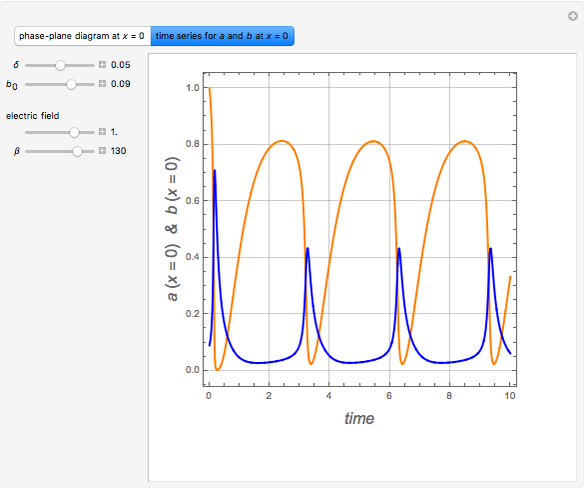 The time series, and at are plotted in orange and blue, respectively. 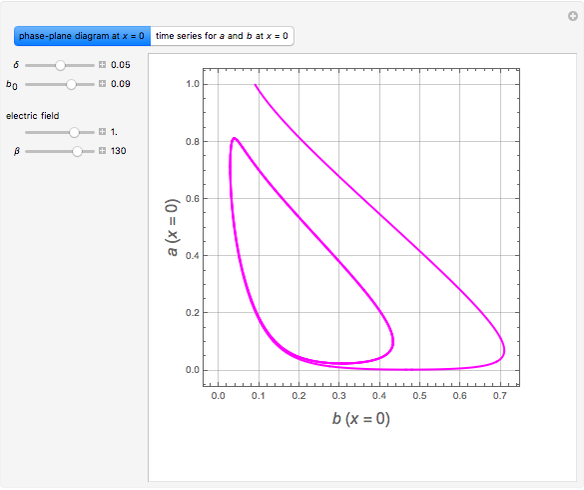 You can vary the values of parameters , , , and . 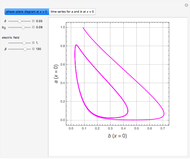 The phase plane diagram is also plotted in magenta. 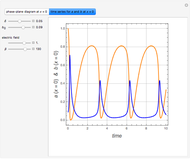 Various dynamic behaviors are observed: these include (1) a limit cycle and sustained oscillations of and versus time for and (2) a stable node and damped oscillations of and versus time for . 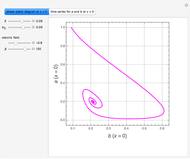 In the discrete Chebyshev–Gauss–Lobatto case, the interior points are given by . 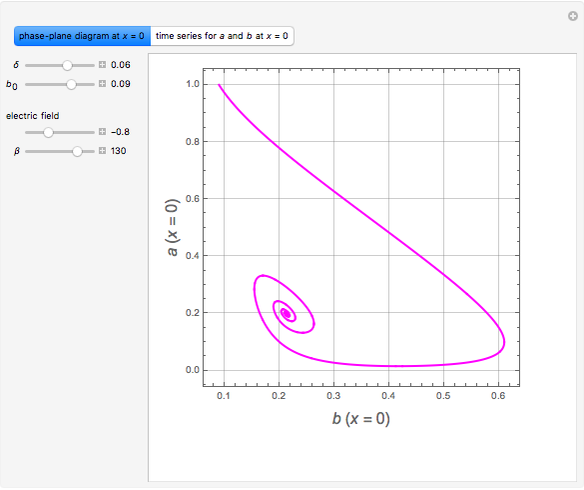 These points are the extrema of the Chebyshev polynomials of the first kind, . The matrix is then used as follows: and , where is a vector formed by evaluating at , , and and are the approximations of and at the . P. Moin, Fundamentals of Engineering Numerical Analysis, Cambridge, UK: Cambridge University Press, 2001. L. N. Trefethen, Spectral Methods in Matlab, Philadelphia: SIAM, 2000. A. W. Thornton and T. R. Marchant, "Semi-analytical solutions for a Gray–Scott reaction–diffusion cell with an applied electric field," Chemical Engineering Science, 63(2), 2008 pp. 495–502. DOI: 10.1016/j.ces.2007.10.001 . Housam Binousand Brian G. Higgins "Gray-Scott Reaction-Diffusion Cell with an Applied Electric Field"